No review of Bethesda eating establishments, or Montgomery County for that matter, would be complete without mentioning the Tastee Diner located at 7731 Woodmont Avenue. 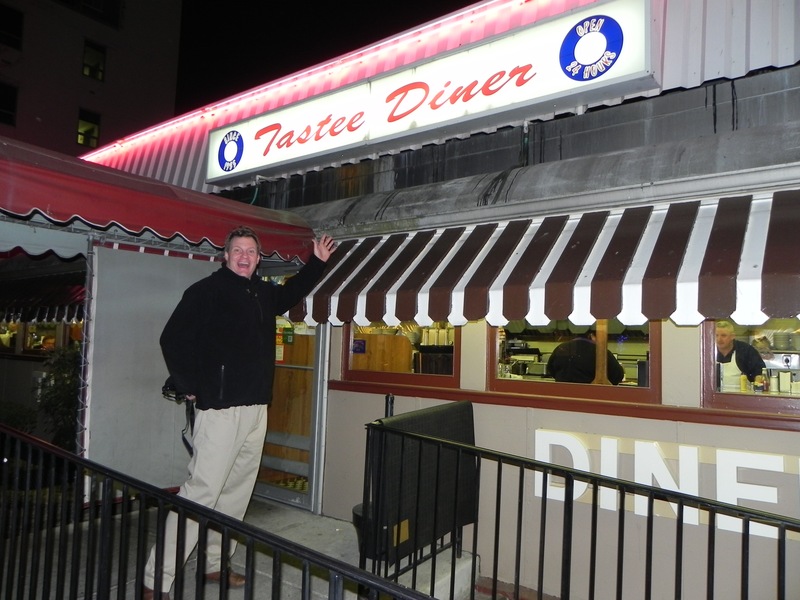 Founded in 1935, the Tastee Diner restaurants can be found in Bethesda, Silver Spring and Laurel and are open 24 hours a day, seven days a week. The Silver Spring Tastee Diner was designated a Montgomery County Historic Landmark in 1994 and then immortalized in the syndicated comic strip Zippy the Pinhead. This is not a place to escape for privacy and an intimate dining experience, but rather a blue-collar oasis to immerse yourself in your fellow-man and the commonality that comes from sharing a hamburger (never frozen), chipped beef or sausage gravy over a biscuit, fried chicken, mashed potatoes, breakfast served 24/7, or a hot cup of Joe (Maxwell House of course). 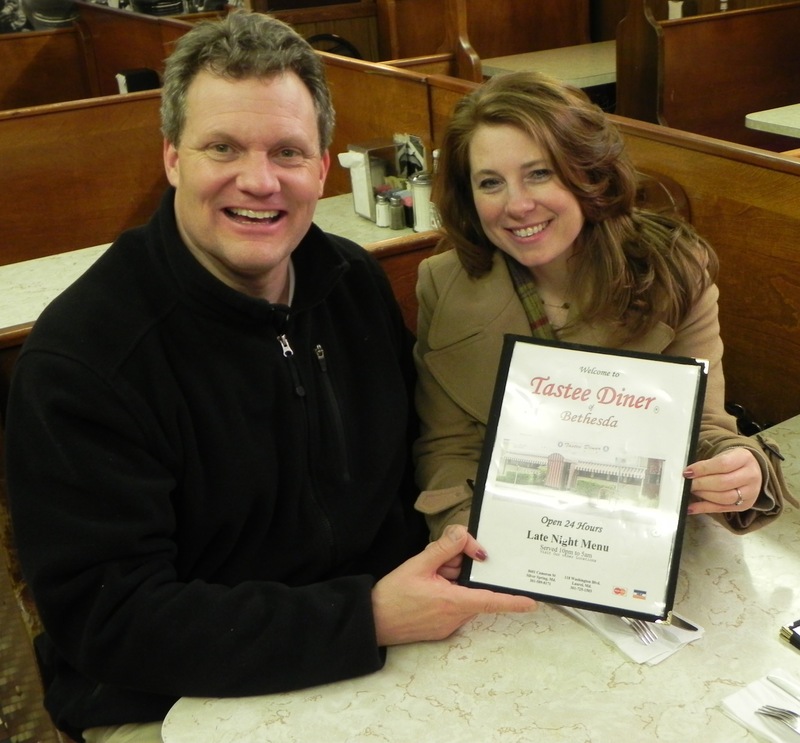 I decided Amy, transplanted from Seattle, WA, had to experience the Diner first-hand. 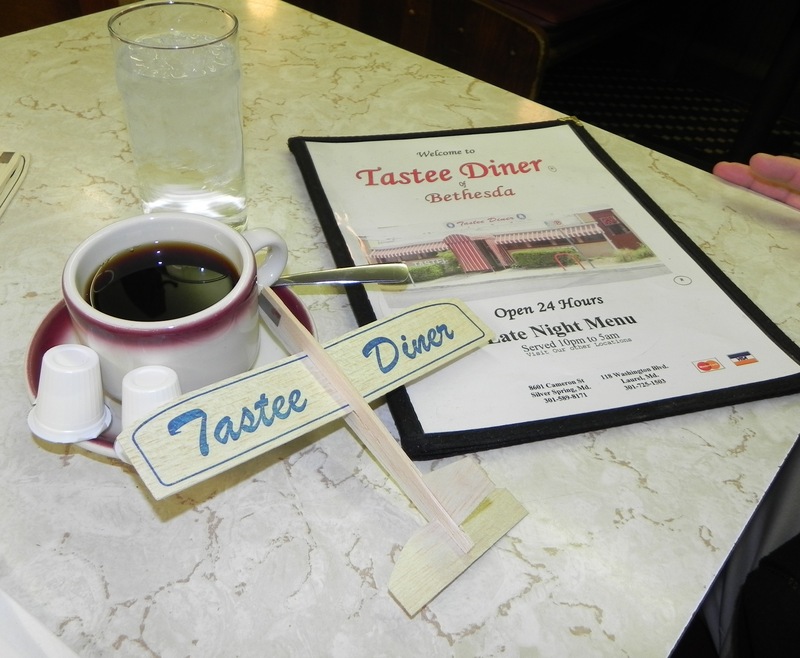 We arrived at 11:30 p.m. on Friday night and the experience was “classic” Tastee Diner. We were promptly seated and greeted by our server Chris, an amiable young 20 something who quickly told us his shift ended at 6:00 a.m., “so take your time [with the order].” He returned quickly with two tiny little water glasses and two balsa wood airplane kits! Diagonally across from our table a young woman lay slumped over the chair of her booth, completely intoxicated while her young male friend attempted to keep her from passing out. He valiantly tried to lift her out of the booth to no avail. A short-time later a huge cab driver appeared (who looked surprisingly like the Redskins’ Albert Haynesworth) and proceeded to dead-lift her limp body out of the booth and into his arms and off to the awaiting taxi cab outside. Wow – maybe that’s where the expression “picking up a passenger” really comes from! At last our cheeseburgers arrived with perfectly crispy fries and Amy experienced the finest late-night food this town has to offer. This entry was posted on Saturday, January 8th, 2011 at 6:00 am and is filed under Restaurants. You can follow any responses to this entry through the RSS 2.0 feed. You can leave a response, or trackback from your own site.